A new face with new ideas, Councilor Herman Carnes has made a smooth transition from President of the Fair Oaks Neighborhood to Council Representative for District Five. This district is inclusive of Forest Hills Neighborhood, Fair Oaks and the streets between Seminole Circle, Fair Oaks Drive, Ridgewood Avenue, Earlwood Road, Seminole Drive, Church Street, Roberson Drive, Westfield Drive, Glen Park Drive, and 4th Avenue. Councilor Carnes is the Chairman of the Streets, Sanitation, Transportation, Drainage & Utilities Committee. It makes recommendations concerning all matters related to maintaining public utilities and services in the city of Fairfield: i.e. water supply, sewage and waste disposal, landscaping, electricity, and transportation. The Streets, Sanitation, Transportation, Drainage & Utilities Committee reviews and monitors funding, rates and billing to and from the city accrued by issues with streets, bridges, railroad and drainage operations. The Streets, Sanitation, Transportation, Drainage & Utilities Committee also develops remedies and improves policies that regulate all community improvements, construction projects, grounds maintenance, road and transit repairs. Councilor Carnes has vowed to dedicate his term of office to advocate, legislate, appropriate and appoint. His committee has been pushing for enforcement of city ordinances that aim to re-establish a clean and safe environment. 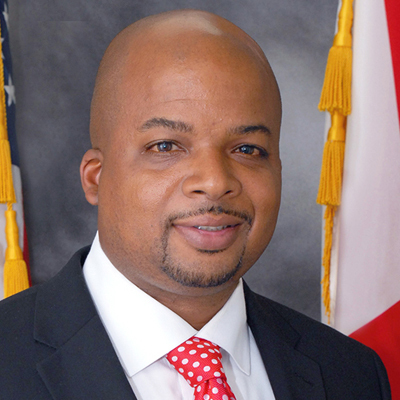 He is also a member of the Budget & Finance Committee and the Public Safety Committee. Councilor Carnes seeks to bridge the gap between the citizens and city leaders. With his previous experience as President of the Fair Oaks Neighborhood Association, it comes natural for him to acknowledge and be an example that people from all walks of life can work together. Communication, Transparency, Information are all essential to the execution of efficient and effective services. He aspires to initiate and influence others to partake in mentoring programs, community service efforts, neighborhood association meetings, activities and other civic duties.